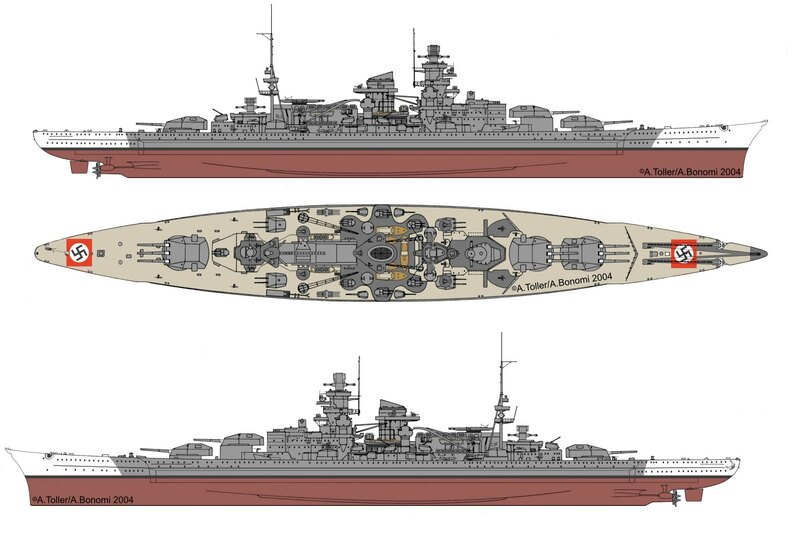 Here at commissioning on January 7, 1939, with straight bow, the mainmast on the funnel and the catapult on C turret. than after the first modifications on August 1939, with the Atlantic new bow, new funnel cap, new anchor positioned on main deck, new hangar and the mainmast moved aft. notice than differently than on Gneisenau on Scahrnhorst the main turrets rangefinder hoods were not painted with the air recognition colour. 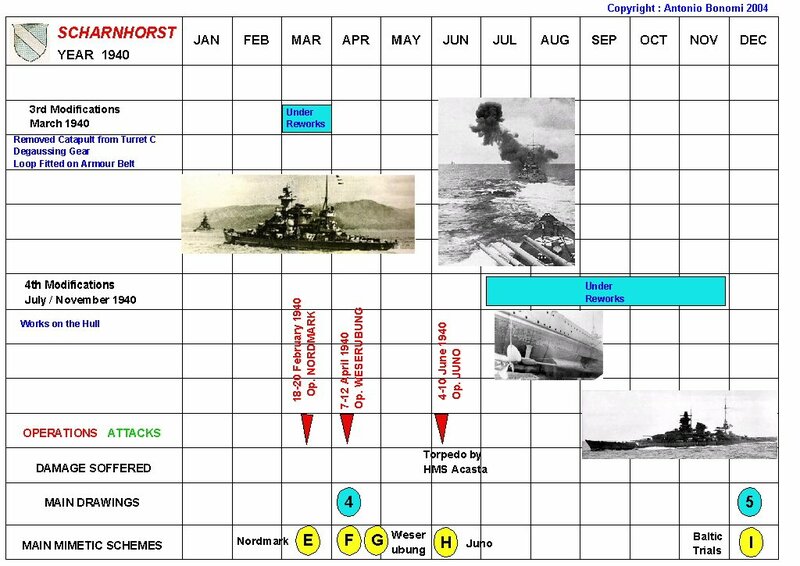 and than the Operation Juno with the sinking of HMS Glorious on June 1940 and the torpedo received by HMS Acasta with tops on Dark Grey. 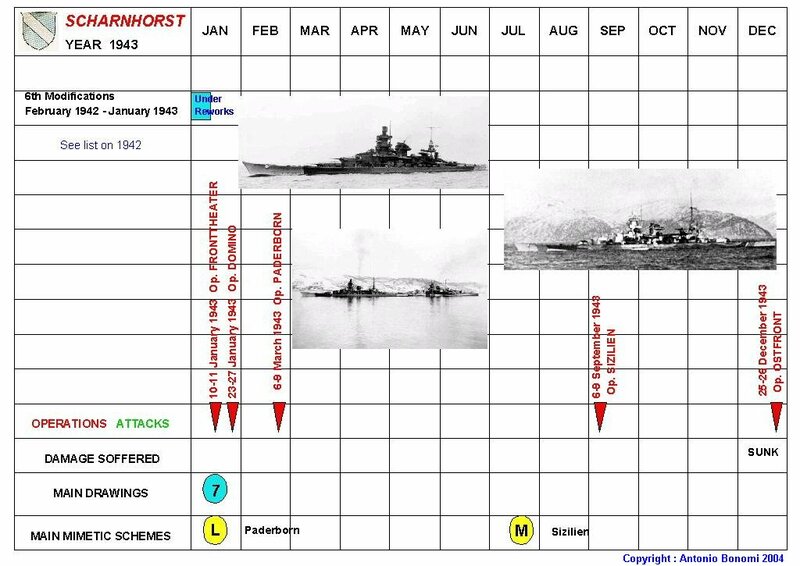 once repaired here Scharnhorst with a very particular and almost unknown Baltic camouflage scheme during her trials on autumn 1940.
and immediately after here Scharnhorst ready for the first Operation Berlin attempt on December 1940, air turrets on RED colour. 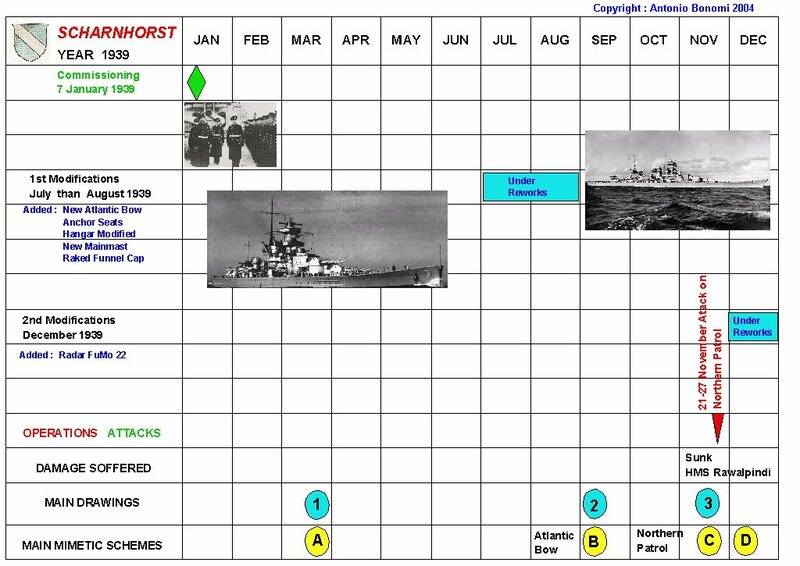 A long refit period on baltic area, and a year after on March 1943 ready to sail to Norway during Operation Paderborn, Thsi was the ship look from March 1943 until July 1943.
and last the ship look after July 1943 until the end of her life, so during Operation Sizilien on September 1943 and Operation Ostfront and the battle of Noth Cape on December 26th, 1943. I take the occasion to thank again Andrea Toller for his patience on following me during the realization of those drawings. Just like Abram Joslin he did a very good job . Who has the copyright for this material, can I copy any of the pictures as screensavers etc? I have made the drawings with Andrea Toller, as I did with Abram Joslin on the other ships, as I always did before on every KM warships camo and technical infos. I hope it is okay to point a couple areas that you missed. If not I apologize, but there are some things I am trying to figure out. These are mostly minor things, but I am hoping to open up some discussion on them to check the accuracy of my research. Unfortunately, most of my research is in the way of photos, and I am having difficulty in finding dates on some of them, which is what I am hoping to come up with. 1. The first was a period right after the new hanger was installed when the waist AA platforms on the catapult pedestal were not there. I don't know how long it was before they were installed, but it was a substantial enough time for it to be photographed numerous times without them. 3. 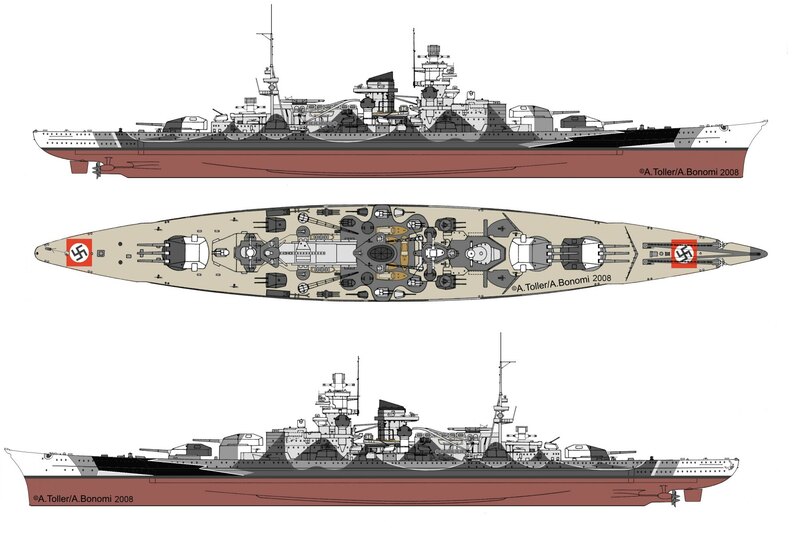 Next is the foretop, when was that enlarged? Was it the same time the circular foretop rangefinder/radar platform was changed to square? 4. Last is about the deck area around the base of the funnel, where the six 105mm's are mounted. This is really hard to describe but it relates to the safety rails around the guns. It seems they were overlayed with armor plate at some point late in Scharnhorst's service. 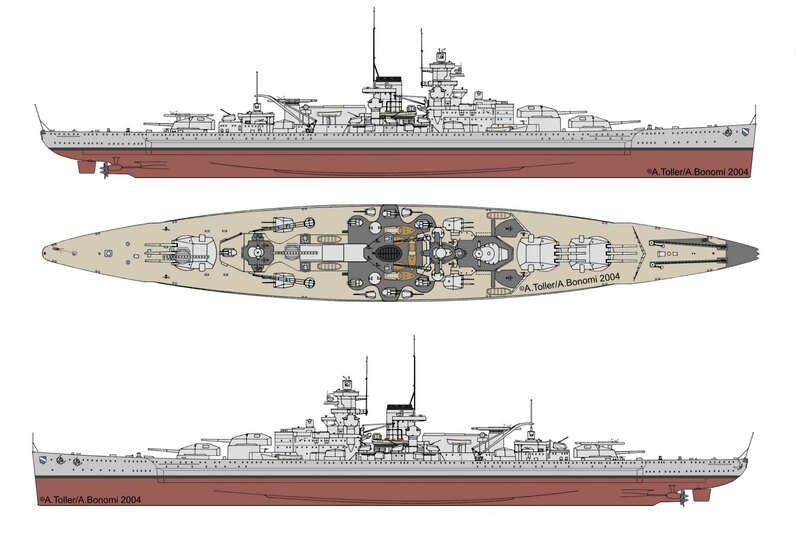 At the same time the area under the forward 105's, which had been open under the deck platform, was enclosed. As you can see, this is not easy for me to describe, so bear with me. I am talking about the area in front of and below the forward 105's. It is on the main deck, just behind the forward 150mm turrets. There was an area that was covered by a platform that made up the deck around the guns. The area directly under the gun was already enclosed, but when they added the armor plate in place of the safety rails, they also enclosed this space. 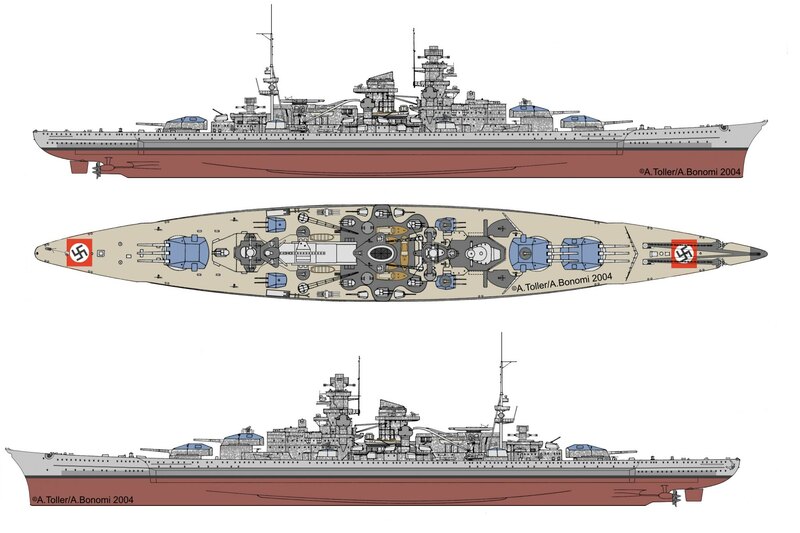 I have pictures of both Scharnhorst and Gneisenau with this enclosure but only one of each, which leads me to believe it had to be pretty late in their careers. Does anyone have dates on these? For the record, please don't ask me to share those pictures, I cannot, I made a promise, but I assure you they are genuine. 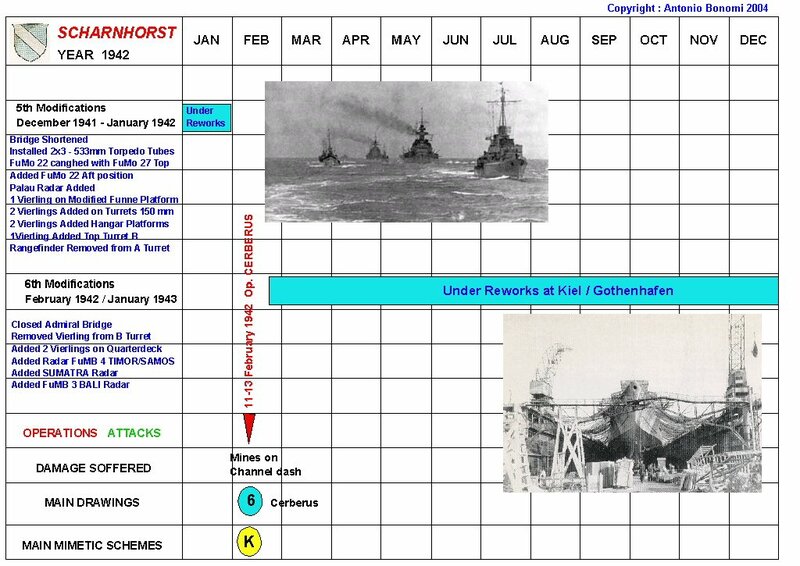 answer to point Nr 1 : they were added on July-August 1939 works. 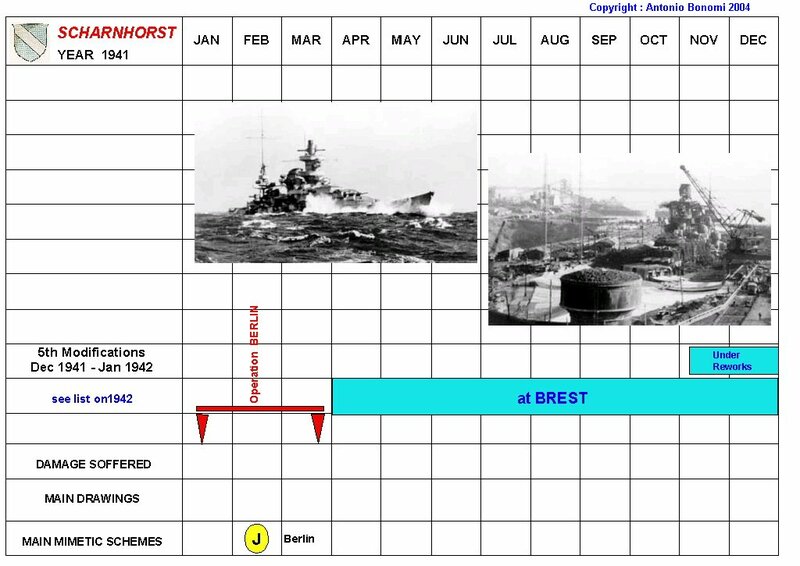 answer to point Nr 3 : the new circulare foretop was fitted in Brest during late 1941 works. NO it was NOt the same time ! the top ' squared ' support was added later in Gdynia when the new radar was fitted on late 1942.
answer to point Nr 4 : probably late 1942 as well.